Rabbi of Kairwan and a pupil of Jacob bar Nissim; flourished in the tenth century. He carried on a scientific correspondence with Hai Gaon, whom he consulted on halakic decisions, among which was that on the Tetragrammaton published among the Gaon's responsa by Eliezer of Tunis in the "Ṭa'am Zeḳenim" (p. 54b). 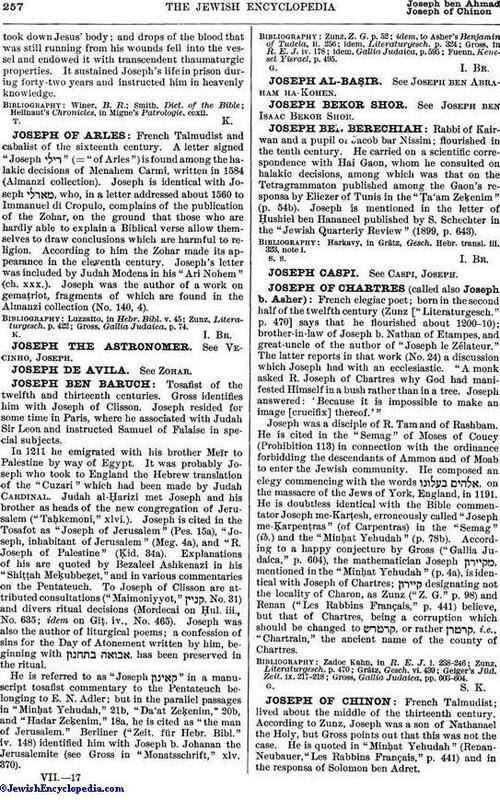 Joseph is mentioned in the letter of Ḥushiel ben Hananeel published by S. Schechter in the "Jewish Quarterly Review" (1899, p. 643). Harkavy, in Grätz, Gesch. Hebr. transl. iii. 323, note i.